In part 1 I discussed some of the habits that may or may not develop. Now I’m going to talk technology. While at the Digital Imaging conference a few technology things kept coming up… Cameraphones, the cloud, and social networks. Not exactly unexpected. The interesting thing about cameraphones is 1) how they will evolve and affect point and shoot cameras and 2) how are users storing and managing their photos. 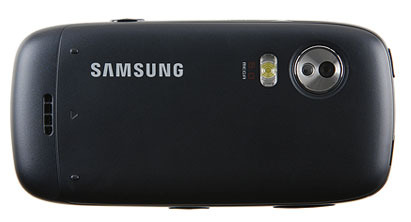 This little piece of work from Samsung not only has a 5mp camera, but shoots decent HD video as well.